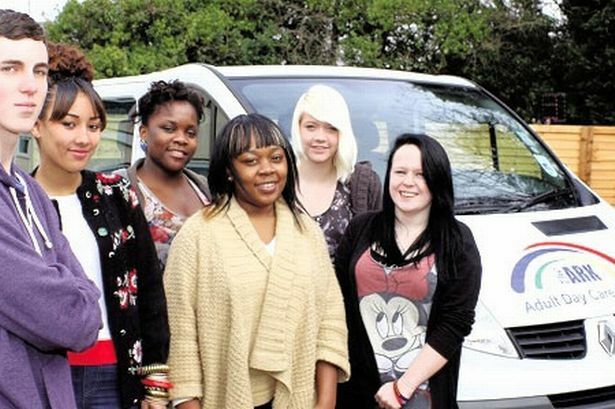 In response to changes in funding ten apprentices were recruited, through City College Birmingham, to enable The Ark Centre, Acocks Green, to continue to provide a high level of service to all of their users and, in turn, saving the centre enough money to afford to buy a new minibus. The Ark Centre, a skills and recreation day centre for people with learning disabilities, was faced with challenges due to the reduction in government funding. Apprentices were recruited as a means of staying within allocated budgets and to ensure the service remained sustainable. The extra help offered by the apprentices allowed the centre to give the service users extra support; where funding had been reduced. Through a partnership with City College Birmingham the centre has been able to offer ten apprenticeships. Not only does this offer young people the opportunity to gain hands-on experience in health and social care and business and administration but it also enables the centre to put additional staff in place to allow users more choice over what activities they want to access. Leanne Caine, care director, explained: “There was a reduction in funding for our service users, which meant that some were not provided with 2:1 support for the community and other involved activities. For us to offer this level of support we took on ten apprentices. This enabled us to continue to offer these opportunities while also ensuring the safety of our service users and that they were not left at risk. The apprentices have brought about savings for The Ark Centre that have allowed them to invest in improving the services, including purchasing a new minibus; providing transport to and from the centre and for trips within the local community. The Ark has invested in apprenticeships and it is their service users that have reaped the rewards. For the apprentices it has been an amazing experience. They have had the opportunity to work in a supportive environment, gain a recognised qualification and experience in all aspects of the business. The apprentices have benefited from in-house training as well as the support of their assessor from City College Birmingham. * If you are interested in finding out more about how an apprenticeship could work for your business then please call the Employer Services Team at City College Birmingham on 0121 204 0400.